Countertrend traders huddle up! 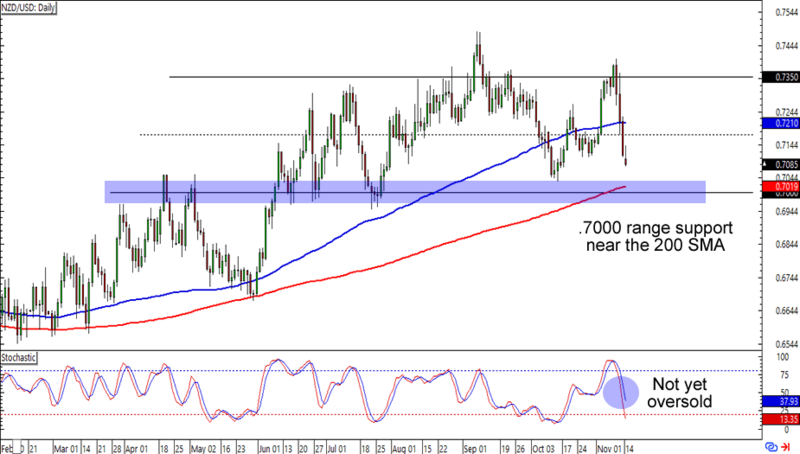 After bouncing from the 1.2700 major psychological area, GBP/USD looks set to retest the 1.2400 support. What makes the level interesting is that it lines up with a rising channel support AND 100 and 200 SMAs on the 1-hour time frame. On top of that, stochastic hasn’t quite reached the oversold region, which could provide fuel for the bears. If you’re not into countertrend trading though, then you can also wait for a retest of the channel support and prepare to go long around the 1.2400 area. Just watch this one closely in case the bulls decide to pounce around the mid-channel support near 1.2500 instead! Remember that “breakout” that we were looking at last week? Well, it turned out to be a fakeout after all! Right now AUD/USD is back at the triangle’s support, which is right around the .7500 major psychological handle and 200 SMA on the daily time frame. 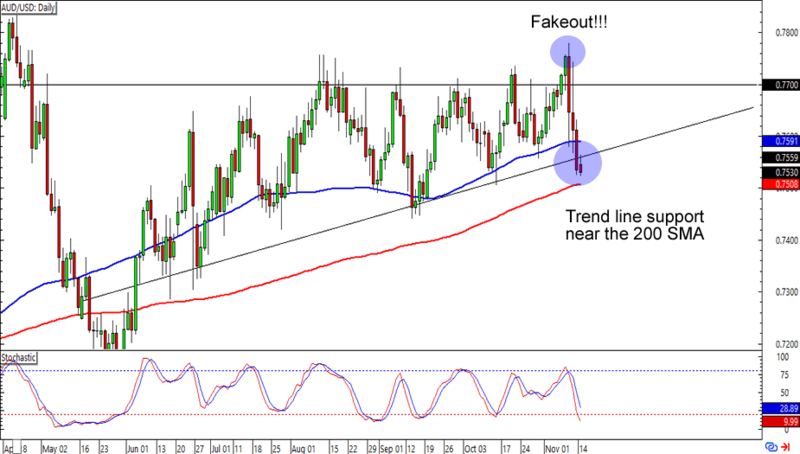 Think the Aussie traders are in the mood for a downside breakout instead? Buying around the .7500 area and placing your stops just below the 200 SMA is a good idea if you’re betting on a bounce, while a short trade at the second (or third) bearish candle below the trend line also sounds good especially if you’re one of them Aussie bears. If you can’t get enough of comdoll trade setups, then this one is for you! NZD/USD is heading fast for the .7000 major psychological handle, an area that has served as resistance and support for the pair since April this year. This time around, the .7000 mark is also supported by the 200 SMA, an indicator that hasn’t been breached as support since February. 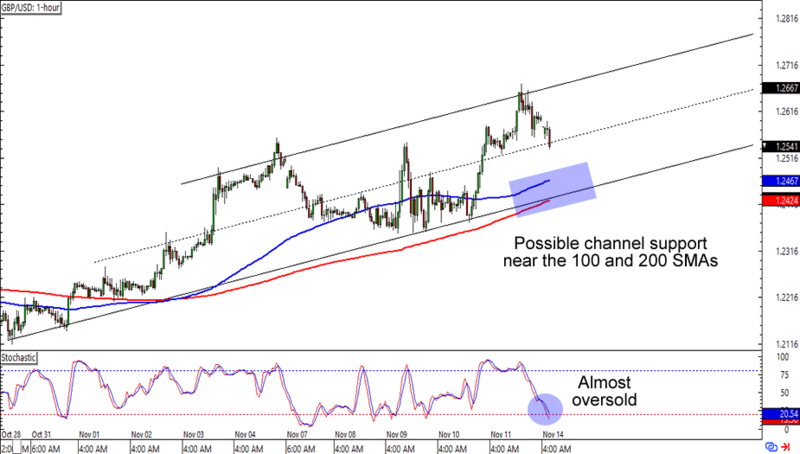 Stochastic hasn’t quite reached the oversold region just yet, but you can bet your neighbor’s pips that forex bulls will be watching if the signs all line up for a technical bounce. Time to whip up your trading plans so you won’t get left behind if this setup turns out to be as bullish as we think!